New books were delivered to Epworth Preschool in Rehoboth Beach, but will also be circulated to many other Read Aloud Sussex County locations. RAD’s Stacy Penaranda shows Marlon Wilkinson-Perez a new book on one of his favorite subjects: dinosaurs. Lark Allread dives right into an interactive touch-and-feel book that offers different textures to feel. The goal of Read Aloud Delaware, a statewide agency that works to promote literacy, is: “Every preschool child in Delaware should be read to one-on-one.” To help achieve that goal, Berkshire Hathaway HomeServices Gallo Realty held an autumn new-book drive at its three offices in Lewes, Rehoboth Beach and Bethany Beach. Management, agents, staff and even a few Gallo Realty customers and clients donated more than 120 new books during the month-long drive. The donated books were appropriate for children up to 12 years old. Especially needed and appreciated, organizers said, were interactive books that offer “lift-the-flap” or “pop-up” features, as well as books representing multi-cultural children and families. BHHS Gallo Realty is planning to make the book drive an annual event, so those interested in participating can check back next October for details on how to get involved. 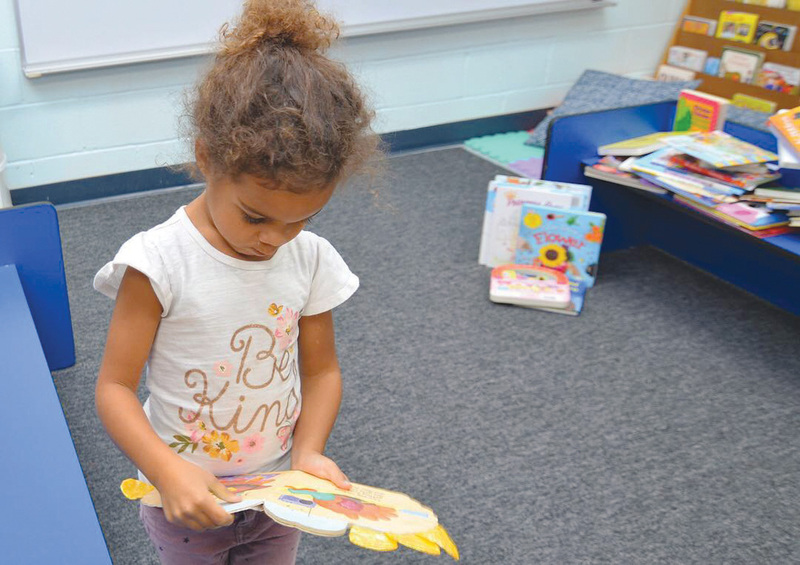 In Sussex County alone, Read Aloud Delaware sends volunteers to childcare centers, Head Start programs, preschools and elementary schools in 39 locations where children are read to individually at least once a week. In the 2018 fiscal year, Sussex had a total of 200 volunteer readers who read to close to 3,000 children for a total of more than 7,500 hours combined. “I’m sure that I speak for our Board of Directors, volunteers, and especially the children we serve, when I express my gratitude to the Gallo Gives Foundation at BHHS Gallo Realty for sponsoring the book drive. 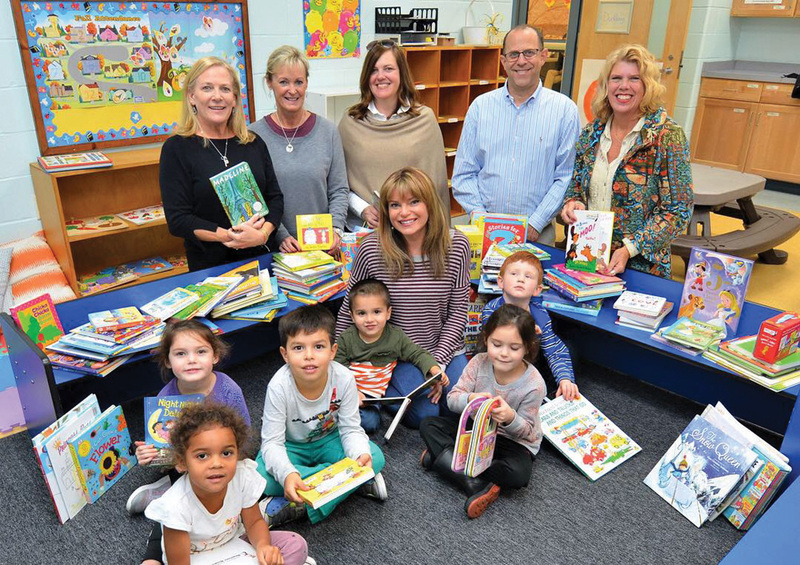 Their donated books will be distributed to our Read Aloud locations and added to our Georgetown library so that our volunteer readers can share them with children across Sussex County,” added Penaranda.